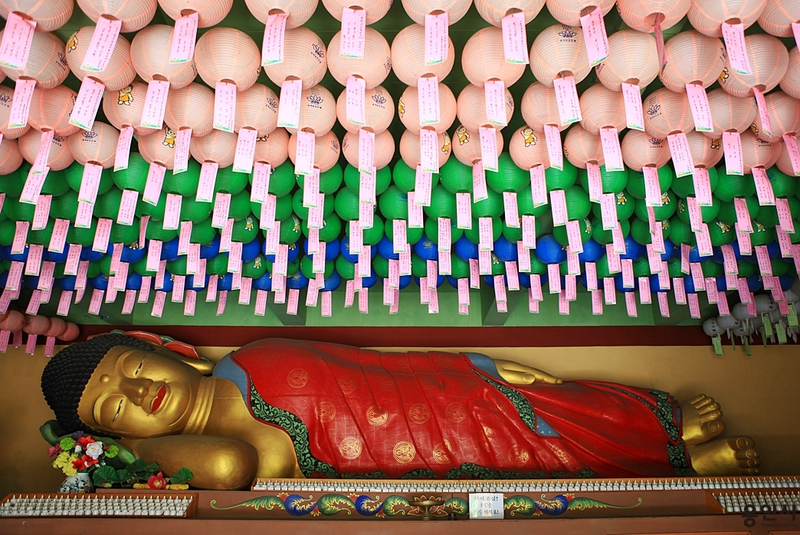 Wawoojongsa Temple was established in 1970 by Kim Hae-Geun, a monk who was displaced by the Korean War. 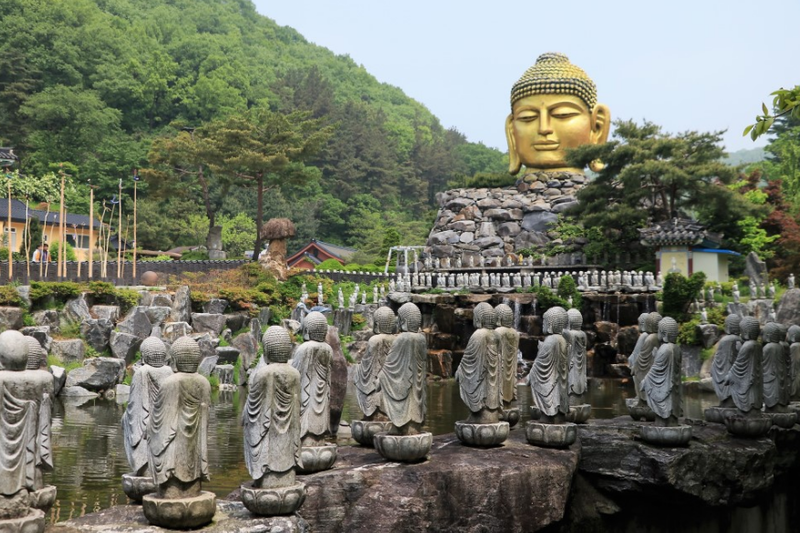 The temple is not only a reflection of the monk’s sincere hope for the reunification of the North and South, but is also the birthplace of the Korean Buddhist Nirvana Order. There are over 3,000 Buddhist statues on the temple grounds, the most famous of which are the Buldu (Buddha heads) placed at the entrance and the Wabul (reclining Buddha statue) stationed in the middle of the mountain. The 8m-high Buldu is the largest of its kind and the Wabul, which is made from a juniper tree from Indonesia, is 3m in height and 12m in length. As the world’s biggest wooden Buddhist sculpture, the Buldu has been registered in the Guinness Book of Records. 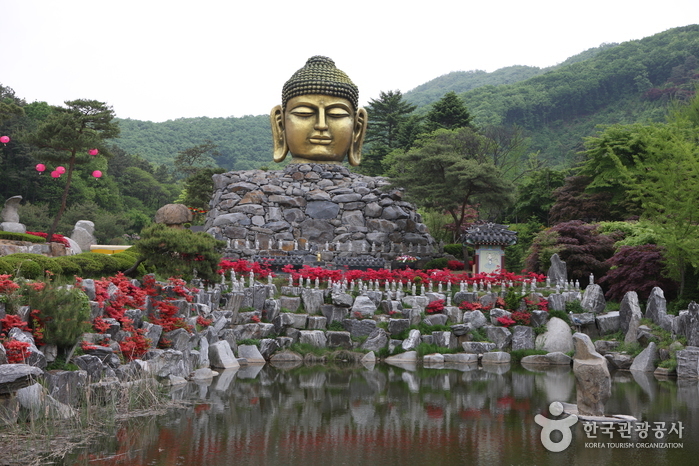 The temple is also home to a 5-Dhyani Buddha made of 30 tons of brass (taking decades to complete) as well as the 12-ton Bell of Unification (struck during the Seoul Olympics in 1988). 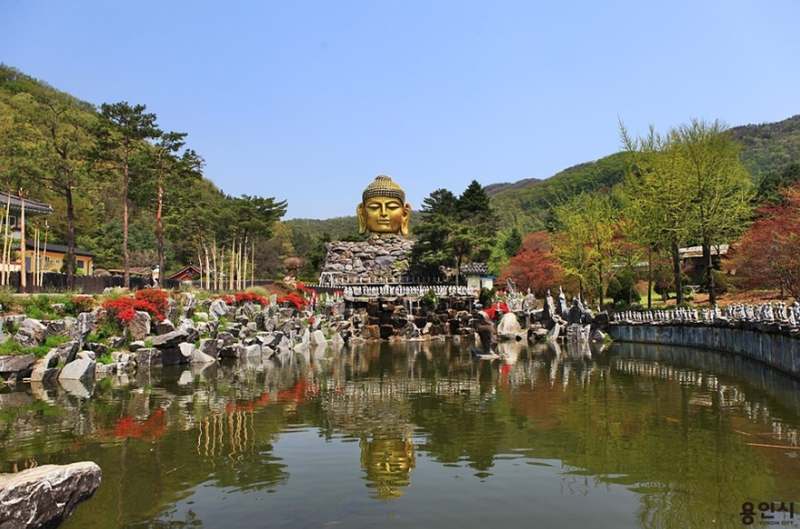 Other attractions include a bronze statue of Buddha sitting with his legs half-crossed (the largest of its kind in the nation) and the nation’s only Sakyamuni Bulgohangsang statue. One of the other unique things about the temple is the Pagoda of Unification, located besides the stairs of the Hall of Nirvana. The pagoda is comprised of stones brought by visitors from various holy sites all over the world. Hence, the construction of the Pagoda is a never-ending progress. 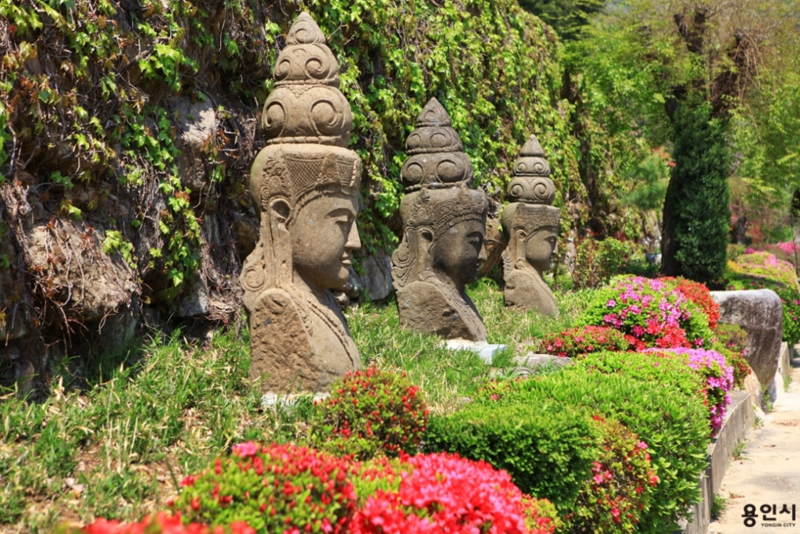 As a symbol of the pervading hope for world peace, a wide range of Buddhist statues from many countries including India, Myanmar, Sri Lanka, China and Thailand are on display around the temple, allowing visitors to learn about Buddhist cultures from all over the world. Separate restrooms for visitors with disabilities. Take Bus 5600 or 5800 to Yongin Intercity Bus Terminal. From the terminal take the bus bound for Wonsam (원삼). Get off at Wawoojongsa Temple. Take Bus 5001 or 5002 to Yongin Intercity Bus Terminal. *Bus 5001, 5002, 5006, & 5008 each comes at 15-min intervals. This entry was posted in Spot and tagged Korea, Korea trip, south korea, temple, ‪‎travel, ‪‎traveling‬, traveling in Korea, traveller, Wawoo temple, wawoojeongsa. FREE Walking Tour with BnBHero!